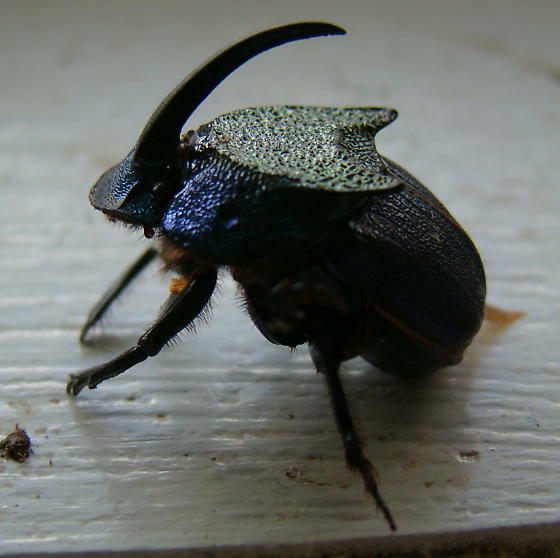 This beetle is very colorful and has single horn on its head. These guys are gorgeous, and they get to spend their day with poop. Lots of beetle enthusiasts are on the lookout for them, I know a bunch of folks who'd be envious of your good fortune in finding one. Looks like a male P. difformis, based on shape of pronotal disk.